The original mountain bike bell. Trail awareness when you need it, silence when you don't. A simple on/off lever controls the internal clapper. Slide it down for on, or up for off. The motion of the bike activates the sound. Designed for safe, friendly passing and signaling on shared use trails, and alerting wildlife, including bears and mountain lions. Mounts anywhere on your handlebars. 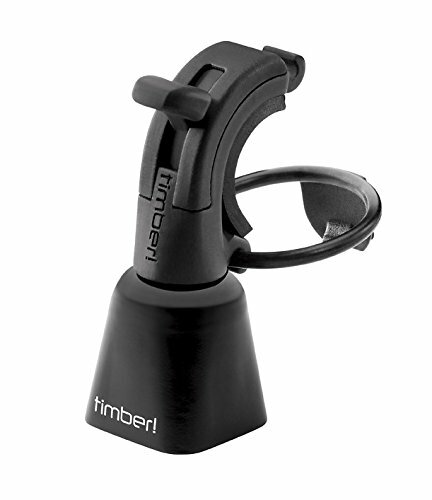 Or, mount it right on the grip for instant shifting between ring and silent mode. We've improved the life of the internal index mechanism (on/off switch), and beefed up the strength of the internal clapper cable.